The turkey is increasingly becoming a popular pet choice and even one of the animals that people are picking to serve as their very own emotional support animal! It appears as if their time may now include more months of the year than just November. You’ll need a yard (a patch of land that’s 10 feet on each side should be adequate) with fences that are at least 7 feet tall. Turkeys can easily jump over anything shorter. If you’re raising two turkeys, you’ll need about 50% more space. 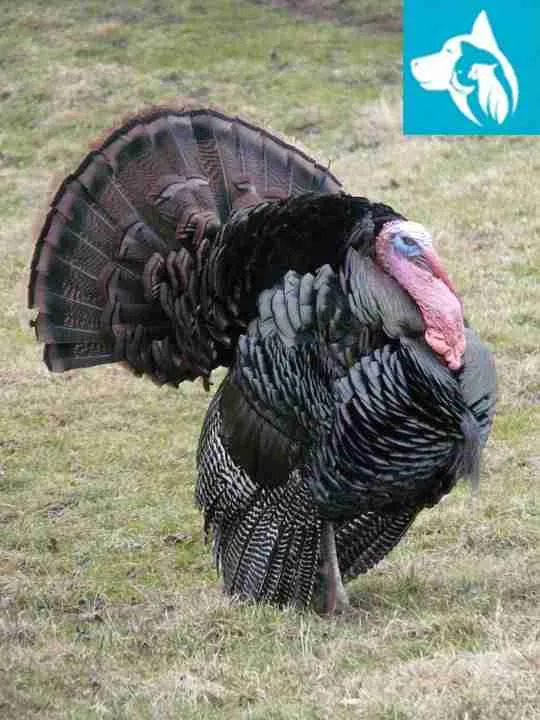 While turkeys are outdoor birds, they need shelter from the rain or extreme weather, too. You need to build a small shelter, line the floor with wood shavings and bring in heat lamps for heat in winter. Wood shavings are better than wood because cleaning your turkey’s droppings up may only involve sweeping up the wood shavings and scattering new shavings around. These feathered buddies are willing to eat anything from vegetable peels to overripe fruits, turkeys are very low maintenance. Their main diet, though, should be turkey mash and poultry pellets. You can get these from any store that sells poultry supplies. In some districts, local regulations see turkeys not as pets but as farm animals. You may need to obtain a special big bird permit from the Department of Agriculture. It’s also not a bad idea to get your pet turkey microchipped. Lastly, if you plan on having that turkey serve as your Emotional Support Animal, you may want to get an ESA letter for it with us. 4) The Younger The Better! 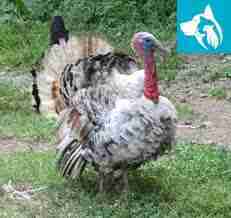 While grown turkeys do easily get along with humans, turkeys raised as chicks can form a real bond with them. They are usually happy picking around their space on their own as long as you keep it reasonably well heated with a heat lamp or two. Once your chicks are fully feathered, they won’t need much protection from the cold. Whether you’re raising turkeys or turkey chicks, it’s important that you don’t have any of your natural predators around. Cats and dogs are bad idea if you’re planning on raising turkeys because they could cause stress and make living difficult for your turkey. Lastly, some turkeys even behave like dogs! So, if you love dogs and want to try something new, this little feathered friend might be right for you! Turkeys aren’t the only kind of bird species that may serve as a good pet or esa, parrots and parakeets are just as good!